Be sure to stay warm. But, do it in a smart way. Here’s our tips for cold weather rucking. These top tips were gleaned from the experience of many ruckers. First of all, let’s review the best materials to use in the cold weather. In general, wool is a superior material for cold weather as compared to cotton. It is also better than most synthetic materials that are not purposed designed for cold weather. Wool from a sheep is an amazing insulator. Nature made sure of that – the crimped nature of the individual wool fibers ensures that they form millions of tiny air pockets. These tiny pockets trap air, helping to provide a thermal barrier. And, wool outperforms cotton even more when it is wet. Cotton is NOT recommended for hiking in cold conditions. Why? Because when cotton gets wet it completely loses its insulating abilities. It also does not wick away perspiration. 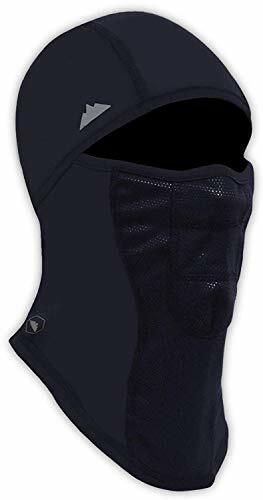 Base layer fabrics should be wicking (which transports moisture away from your skin via capillary action) and tight fitting. Wicking fabrics don’t work as intended when worn too loose, they must be close to the skin for best results. So, in short – look for synthetic materials made specifically for cold weather and Merino wool. Stay away from cotton. We don’t even have to say this – but just like your mother told you – dress in layers. Why? For flexibility for one. Your going to start out pretty cold – but the weather may change. You’re in the ruck march for the long haul – and the wind may pick up or die down, or the sun may come out – or maybe not. And have a layer that’s ready for precipitation too – if that’s a possibility. Secondly, your body is going to be working hard – much harder than an equivalent walk. So, you will heat up naturally. When you can strategically shed a layer or two – you’ll be prepared to stay comfortable. Overheating on a ruck march is a very real possibility. And then you are soaking wet with sweat – and then maybe you are cold again. Remember, this is the reason we are NOT wearing cotton. It’s common knowledge you can lose a lot of heat through your head. So wear a hat. Whether you rock a winter beanie, or a baseball cap or tactical cap is up to you and your preference. Not a fan of hats? Have one just in case anyways. Wearing a helmet? Look for a thin beanie to wear underneath. This particular model is thinner than other models – but may not be enough unless it is under something else. 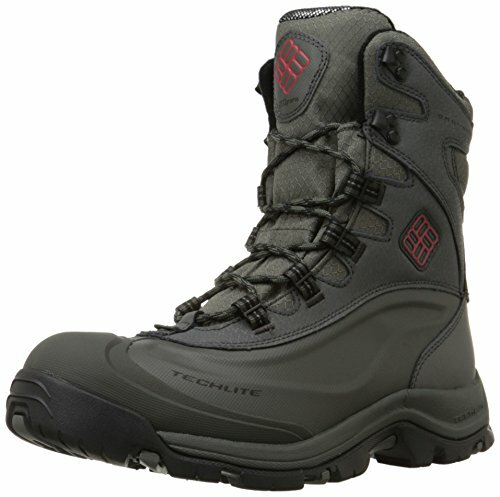 Gear incorporating Polartec is always a solid choice otherwise. MATERIAL: This military Tactical Winter Watch Cap is made from 100% Fleece; lightweight, flexible fabric. The fleece makes this watch cap even lighter than conventional wool caps. DESIGN: This Tactical Winter Watch Cap is designed by following military specifications to give you the feeling of the real army tactical fleece winter cap. A classic fashion design for professionals. Designed to be Ideal for wearing under hardhats, helmets, and all other types of headgear! SPECIALITY: Good quality knit fabric, good capability of tenderness and air permeability. One size fit most. Our watch caps keep you warm and dry while keeping your headgear clean. The hat will stay warm & dry even when it gets wet. 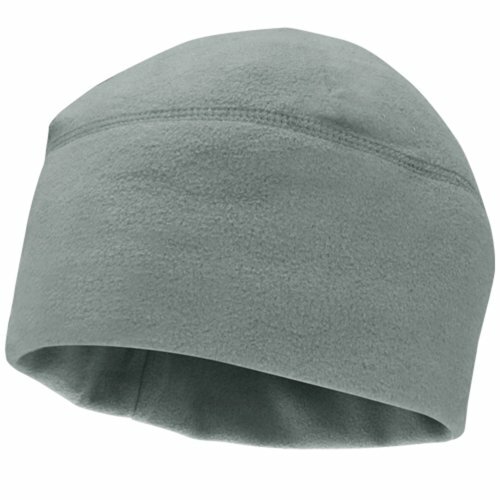 This fleece Winter Watch Cap keeps the heat in while wicking away moisture for maximum warmth. DURABILITY: Made for the military. Sure to last through rigorous army use. 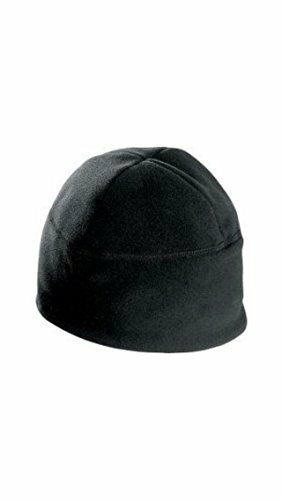 Excellent tensile and tear strengths, for both women and men; can be worn in cold winter temperatures to keep your head warm. This Military Tactical Winter Watch Cap is durable enough to handle harsh army training as well as to cope with the cold winter days. USAGE: Designed for Cold winter weather. Perfect Tactical Winter Watch Cap for Exercise, Driving, Traveling, Jungle Adventure, Biking, Running, Walking, Shooting, Fishing, Camping, Hunting, Skiing, Fancy Dress, Paintball, Cycling, Adventure Travel, Trekking, Army Physical & Tactical Training, etc. 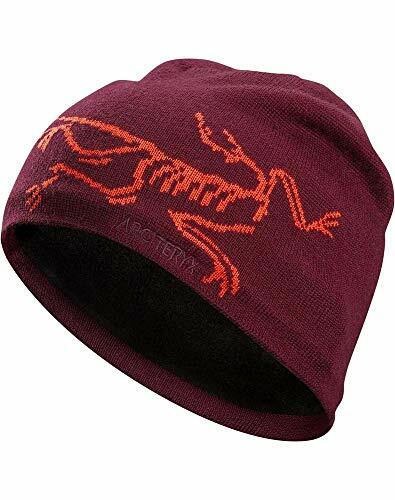 Lastly, Arcteryx makes a number of stylish and functional beanies. BIRD HEAD TOQUE - Super Fine 50/50 Merino Wool acrylic blend with a soft, thermal fleece underbanding, and six dart construction. ARC'TERYX ESSENTIALS - Versatile high performance designs for diverse activities and conditions. NATURAL FIBRE - Textiles made from natural fibres provide inherent benefits and next-to-skin comfort. SYNTHETIC FIBRE - Engineered materials that offer enhanced properties or performance. A neck gaiter, also sometimes called a “buff”, is something you wear around your neck to keep warm. Like a scarf, but more versatile. Why? Because you can pull it up and cover your mouth and/or much of your face if needed. So, it’s really a combination scarf and face mask. The heat that can escape betwen your jacket collar and beanie is significant – so keep it covered up – it will make a big difference. Look for a something nice and long. This will give you plenty of material stuffed down in the collar when pulled up over the nose and face – and will be more versatile. Neck gaiters are usually meant for the cold, so fleece is a popular material. 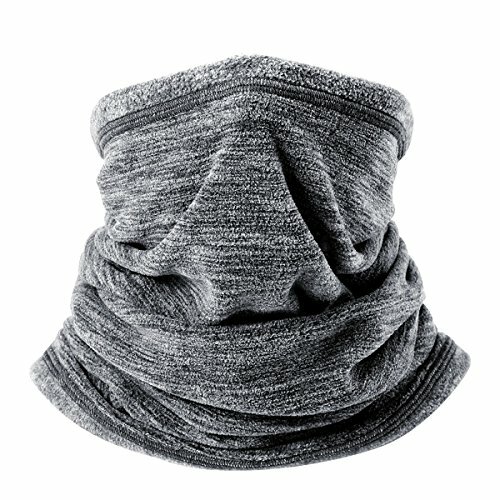 (Include: 1 Pack) MULTIFUNCTIONAL DESIGN: This lightweight cationic fleece neck gaiter is versatile, it can also be used as neck gaiter warmer, Half face mask, beanie, pirate hat, meet your different requires. 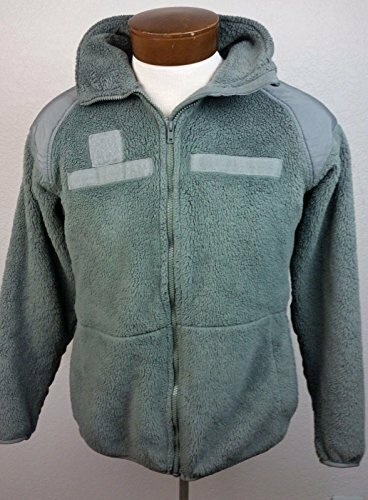 COMFORTABLE FUNCTIONAL FABRIC: Made of Cationic fleece, super soft, excellent keep warm effect, Breathable, moisture wicking, anti-static, anti-pilling, more comfortable and windproof. With it, no worry about the cold weather. HIGH QUALITY SEWING: This cationic fleece neck gaiter is tough and durable as you can see, four needles six lines sewing craft makes it stronger. 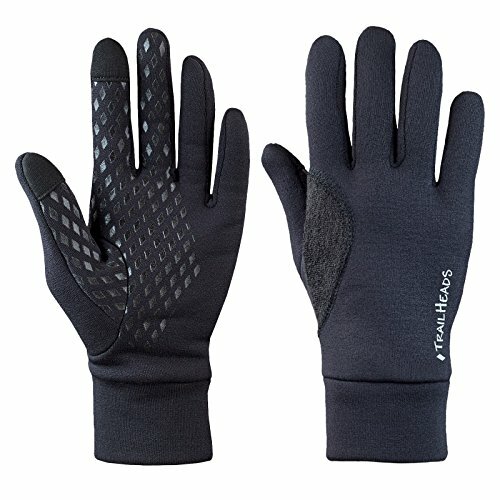 MULTI-PURPOSE: Comfortable wear them perfect Ideal for winter and cold weather, Suitable for winter outdoor sports, such as hiking, fishing, running,sking, hunting, motorcycling, Cycling, climbing or many other outdoor activities. It will help you to enjoy those activities better. ONE SIZE FIT MOST: Length 17.71", width 9.84" size. Wind Resistant Face Mask. Keeps you warm in Winter and reduces humidity in Summer. 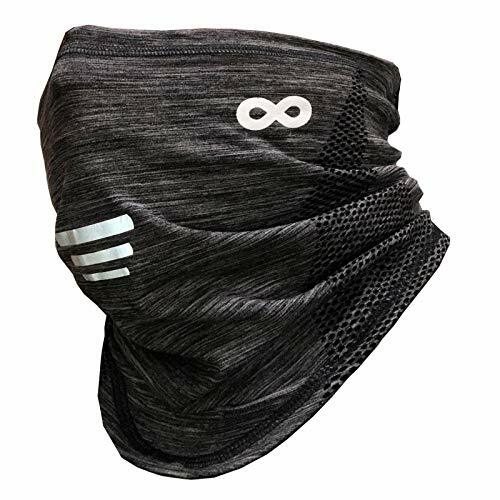 Windproof and dustproof, comfortable and ideal face mask for runners, riders, cyclists, hiking, fishing, skiing and other outdoor activities. In regards to keeping your face warm, you could also wear a balaclava. But honestly, that’s going to freak people out in most places. ULTIMATE COMFORT: Our stretchy, breathable fabric protects your face while wicking away moisture. The fleece lining retains heat. To prevent stuffiness, our balaclavas feature mesh breathing panels to increase airflow while minimizing condensation on your goggles. That's why you'll be smiling as the elements bear down on you. Fits men & women. ULTIMATE VERSATILITY: Wear your balaclava on its own or under a helmet. 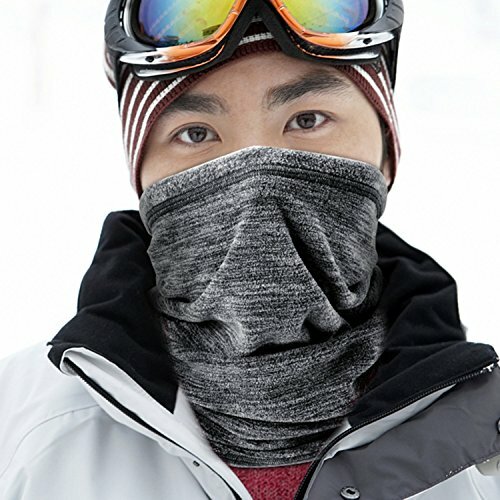 Wear it as a full face mask, open balaclava, half ski mask or neck gaiter. Just don't wear it in an airport or bank! People use our balaclavas for skiing, snowboarding, riding, ATVing, hunting, construction, warehouse work and shoveling snow. STAY SAFE & SEEN AT NIGHT: Stay seen as you're hitting the slopes, biking, or working at night. Our balaclavas are designed with small reflective logos on the front, sides and back. This product is NOT meant for bank robbers. CUSTOMERS LOVE US AND OUR LIFETIME WARRANTY: Yes, they do. And you'll love us too. With over 5000 5-star reviews on Amazon, our headwear products are the #1 choice for Amazon customers. We put a lifetime warranty on all our headwear products. Beat that. But, if it’s really cold, that might be your best bet. 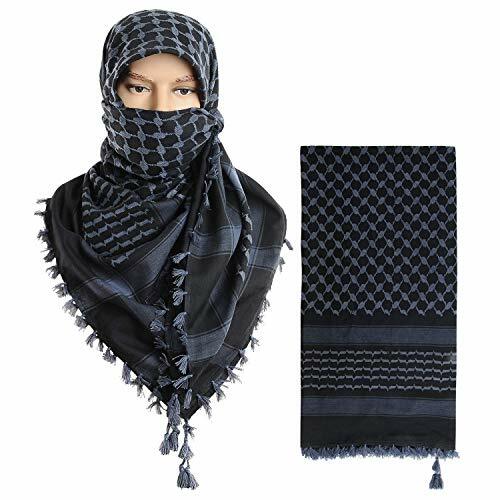 Similar in function to the neck gaiter is the shemagh. 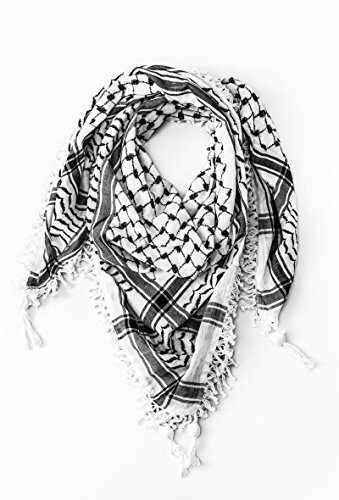 Also called a effiyeh, this is a large (typically 42″ square, some 48″ square), versatile combination of scarf, face mask, and head cover. It’s usually a light-weight versatile material like cotton – as opposed to being made from thick wool like a scarf might. Shemaghs are popular year round – keep the sun, wind, or cold off your face, neck, and head at any time of the year. They also have a cool cachet about them and are popular with special forces. There’s a variety of interesting designs to suit your taste. This tatical scarf is a great choice for outdoor activities, such as hunting, shooting, hiking, climbing, motorcycle and paintball game, etc. You should wear a shirt, for sure. But whether a regular cotton t-shirt or a purpose-built thermal shirt is the right option is all going to depend on the weather. 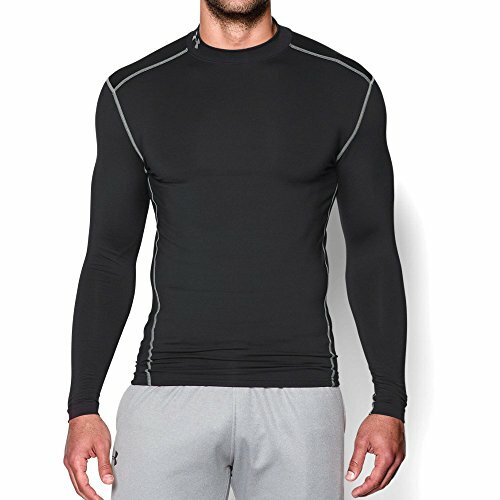 Under Armor Coldgear is also a solid choice – because it wicks away any sweat. Next layer above the shirt might be a Merino wool sweater – that would be an excellent choice – for all the reasons we outlined above. INCLUDES: 1 - Long Sleeve Midweight Crew Sweater. MATERIAL: 19.5 Micron, 80% Merino wool 20% Nylon, SIZE: S to XXL. SUPER SOFT & BREATHABLE: All-natural superfine 18.5-micron Merino wool ensures comfort all day without itching. Merino wool keeps you warm without causing overheating so you can wear it all day when active outdoors. Features Nylon core wrap yarn for extra durability and improved flexibility. MULTIPURPOSE COMFORT & CONVENIENCE: Dries quickly so you can stay comfortable while you're out camping, hiking, hunting, working, playing winter sports, mountaineering, ice fishing, skiing, snowboarding, and more. Features wide crew-neck collar to seal in warmth and block out the cold. Excellent as a top-layer or mid-layer over shirts, thermals, and base-layers. WICKING & ODOR RESISTANCE: Merino wool's natural wicking, anti-bacterial, and odor-resistant properties keep you dry and comfortable while active in cold weather. Through the process of wicking, Merino wool is the most breathable fabric and absorbs moisture better than any other fibers. Wicking refers to a fabric's ability to pull moisture away from your body and keep you comfortable. 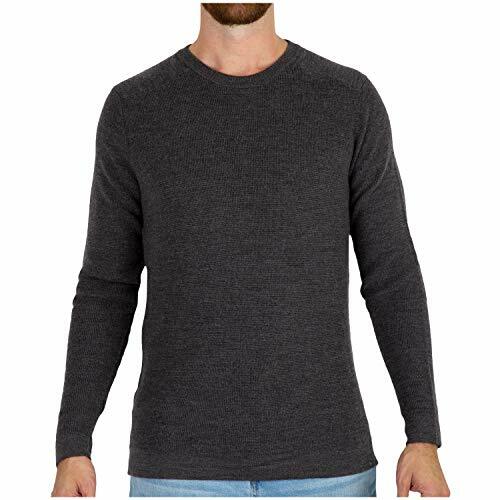 EXCEPTIONAL CUSTOMER CARE: If your MERIWOOL Merino Wool Men's Knit Crewneck Sweater isn't to your satisfaction, return it within 90 DAYS along with your proof of purchase for a hassle-free refund, exchange, or replacement. Includes a 1-YEAR limited manufacturer's warranty, which covers manufacturing and material defects. Washer/dryer safe. For best results: hand wash and lay flat to dry. Again, thinking in the theme of layers – a jacket on top of the shirt. Fleece is also a great option. If you are expecting windy conditions – pack a windbreaker. A windbreaker is usually made of special synthetic material such that it can block wind chill. They are usually water resistant as well, at least for light precipitation. We mentioned that windbreakers are usually made with synthetic material – because they can then be made very lightweight. That allows you to have a layering approach – with the windbreaker being light and packable. 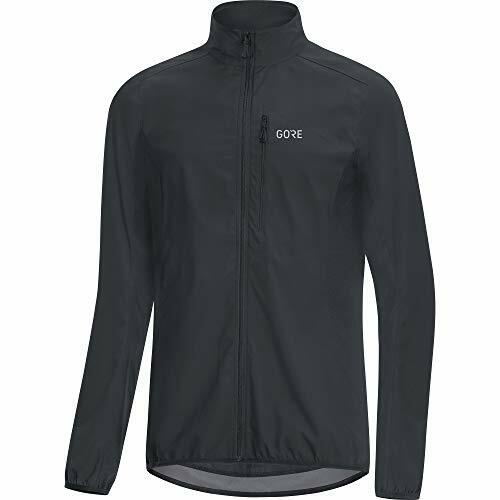 Gore Windstopper (from Gore-Tex) is a typical example of such a material. Sure, you could wear a scarf. But with infinitely cooler options like the shemagh and neck gaiter – why would you? Cold hands (and fingers) can make a ruck march miserable. And if this is a GORUCK event – you might have to carry something – at least part of the time. Sticking your hands in your pockets isn’t likely going to be an option. 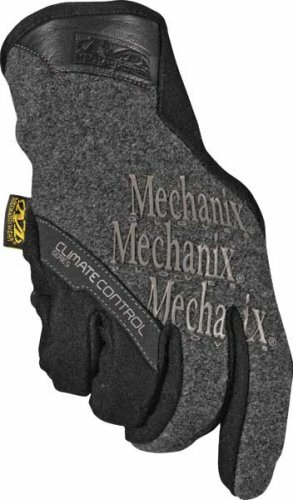 You can wear something light and less insulated, like mechanix style work gloves, or if you are expecting extreme temperatures go for a real winter glove. 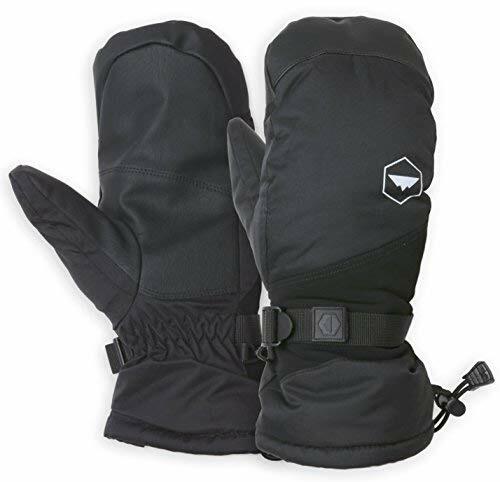 Mechanix has extra insulated gloves for cold conditions – and that may be the best cold weather choice overall. Again, you may be bear crawling, or doing bag swings, or carrying a log or water jug – who knows. Having a real work glove with grip, but is also warm, is probably a good idea. Glove liners are another option that can work with gloves you already have – like mechanix. 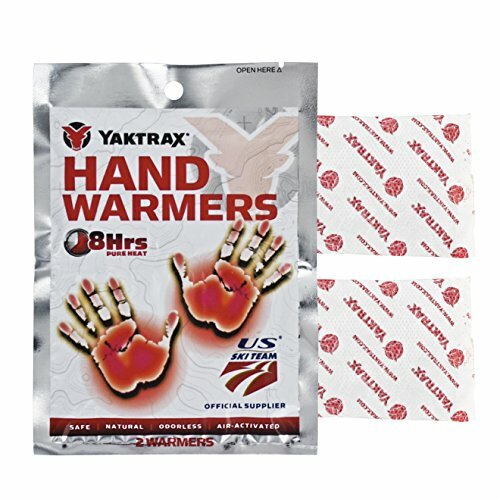 This will give you extra warmth – and a tough exterior with good grip. Maybe you just need real winter, insulated gloves. North Face gloves with Polartec are a winner. As a bonus, these are touch-screen friendly. 4-WAY STRETCH POLARTEC POWER STRETCH PRO FABRIC - features a smooth, durable outer layer that is wind resistant. Our lightweight gloves have a soft, brushed, moisture wicking, inner layer providing maximum thermal efficiency. 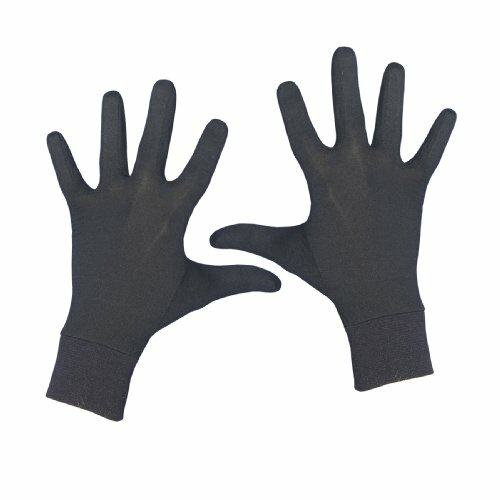 TOUCHSCREEN GLOVES- conductive fabric on tips of thumb and forefinger enables use of touchscreen devices. Use our running gloves to adjust your workout playlist or text your running buddy without freezing your fingers. SILICONE PALM GRIPS - The diamond-shaped grips enhance dexterity and these black gloves have a terry cloth brow wipe on the back of the hand. NOTE: Designed for aerobic activities such as winter running, these exercise accessories are not ideal when temperatures dip toward single digits. TRAIL-TESTED GUARANTEE - Your complete satisfaction is our goal. If you're not happy with your purchase, let us know and we'll provide a replacement or refund with no fine print and no time limit-nothing but our commitment to doing whatever it takes to satisfy our customers. If it’s gonna be brutally cold, mittens and hard warmers might be a good idea. Sometimes even gloves aren’t enough. And honestly, carrying a heavy ruck for distance is enough work. Why make yourself more miserable than you need to be? Mittens with hand warmers in side – a winning combination. HUGE SALE Spread the cheer with our LIMITED-TIME HUGE GLOVES SALE. Take advantage before prices go up! After all, we don't want winter to catch you with your pants down! And with over 5000 5-star reviews on Amazon, our outdoor products are a favorite on Amazon. We put a 1-year no-questions asked warranty on our gloves. Beat that. EMBARK ON A WINTER ADVENTURE: Let nothing stop you from having a thrilling blast - whether you are skiing through a snowy hill or just camping out in the dead of winter. Bear the brunt of cold winds, rain and spray with your Tough Outdoors Winter Gloves! YARD SALE INSURANCE: Whether you have epic yard sale wipeouts or take epic photos from the lift, rest assured your gloves will stay secured to your wrists! WEATHERPROOF: These gloves are constructed with a 100% durable, waterproof nylon shell and reinforced synthetic leather palm. The result is a waterproof, weatherproof glove. You're in good hands. Socks are an important part of your rucking gear in ANY temperature. Let’s recap some best practices. Many people swear by two pairs of socks. Not one on your feet, and one in your pack, but rather a light sock as the inner layer , with a thicker, heavier sock over top. In cold weather this will provide excellent insulation – especially if that outer sock is a wool sock. But perhaps more importantly this is one of the secrets to avoiding hot spots and blisters on the ruck march. Now, having said all that – there’s no harm in packing a third pair of socks in your rucksack as a backup pair. After all, they don’t weigh very much. 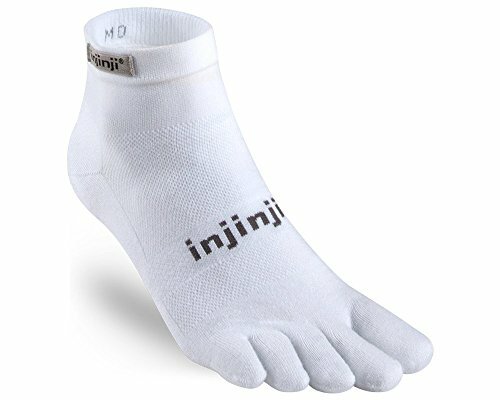 SELECTED MATERIAL: These merino wool hiking socks made of 80% merino wool blend, all these wool hiking socks are integrally sutured by meticulous process, there are no spare threads inside. soft handle, good elasticity, strong warmth retention and moisture absorption. FASHION DESIGN:Lightgray,darkgray and brown,the looking is fashionable and professional hiking socks,enough for outdoor sports,camping,climbing, trekking, outdoor trail, running, walking, etc. With stylish patterns and vibrant colors perfect for everyday wear and it is cozy enough to wear these wool socks for you in all seasons! 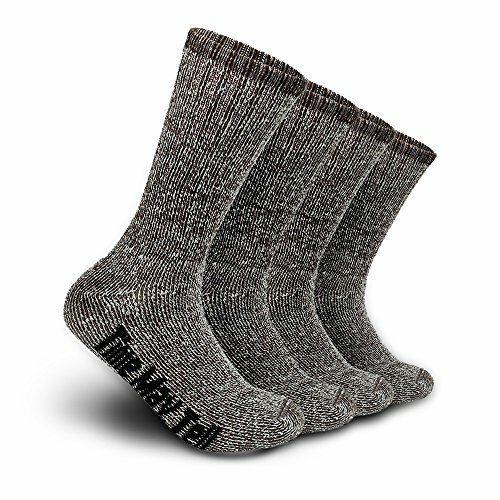 ONE SIZE FITS MOST MENS & WOMENS : These merino wool knit hiking crew socks can fit most men&women's feet. These are very soft and incredibly stretchy. Easy to put on and fall below the base of your calf ,will fit you perfectly. GREAT GIFT CHOICE : Our merino wool hiking socks make the perfect present for hikers, outdoor walkers and keeping your feet dry, warm and comfortable all day,you can choose for yourself,your lover,your family or your friends ,as birthdays, Christmas gift. 100% RISE-FREE GUARANTEE:Full protection for your purchase,if you are not satisfied with our socks,you can get 100% money back guarantee, ,so click the yellow "Add to Cart" button and order them today! Time May Tell,who care you most! Honestly, if you’ve done your socks right you probably don’t need cold weather boots – but again – just how cold are we talking? Perhaps more importantly – what’s the terrain going to be like? Traction may be of the utmost importance. And assuming there’s not going to be any purposeful immersion – Gore Tex or other waterproof boots are probably a good idea. Also – if it is gonna be so cold you need winter boots – you may want to go with triple layer socks also. Make sure one layer is wool – for the reasons described earlier. Best lip balm for cold weather? There’s many options, but some swear by Tincture of Benzoin. It also works great if your nostrils get irritated or raw. Here’s a grab bag of good ideas that didn’t fit anywhere in the rest of the article. Packing a hydration pack? Remember that the water in the tube can freeze, and quick. Solution? BLOW the water in the tube back into the bladder after you are done drinking. Extended time in cold weather means runny noses, so pack tissues or a handkerchief. Really, it’s the little things that make the difference. And don’t forget the extremities – head, neck, hands, and feet. We hope we provided some good ideas for your upcoming ruck march. Who needs expensive ruck plates? 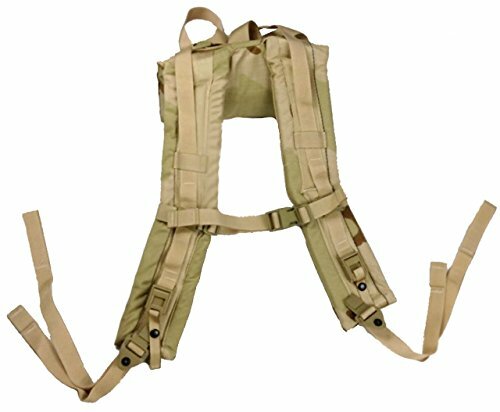 Titan Fitness makes affordable ruck weights that will get the job done for less.